Please enter a rating for Customer Service. Please enter a rating for Qulity Of Work. Please enter a rating for Time Taken. Poor Excellent Please enter a rating for your trader on a scale of 1 to 10. Thank you for completing our feedback form. Your report will be added to the trader record. 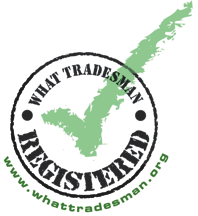 We hope you found using Trader Register a worthwhile experience.